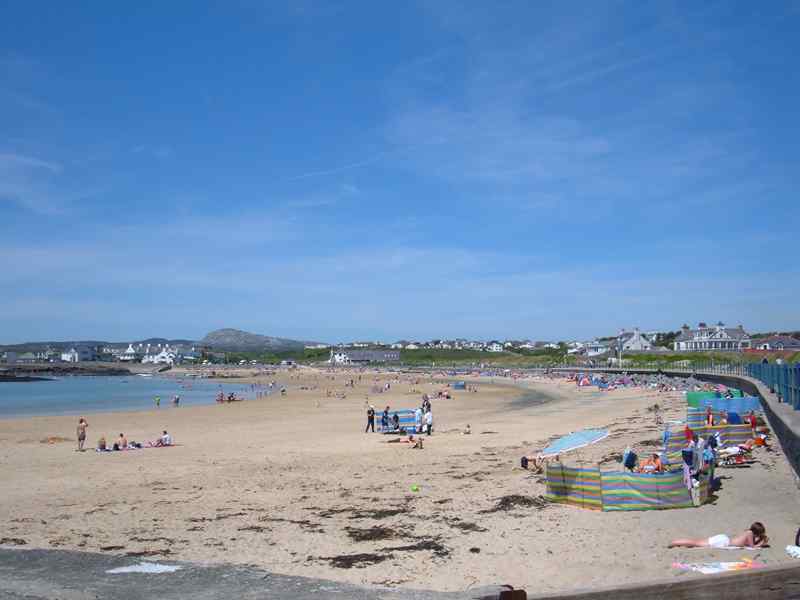 Trearddur Bay Beach on the Isle of Anglesey, North Wales. 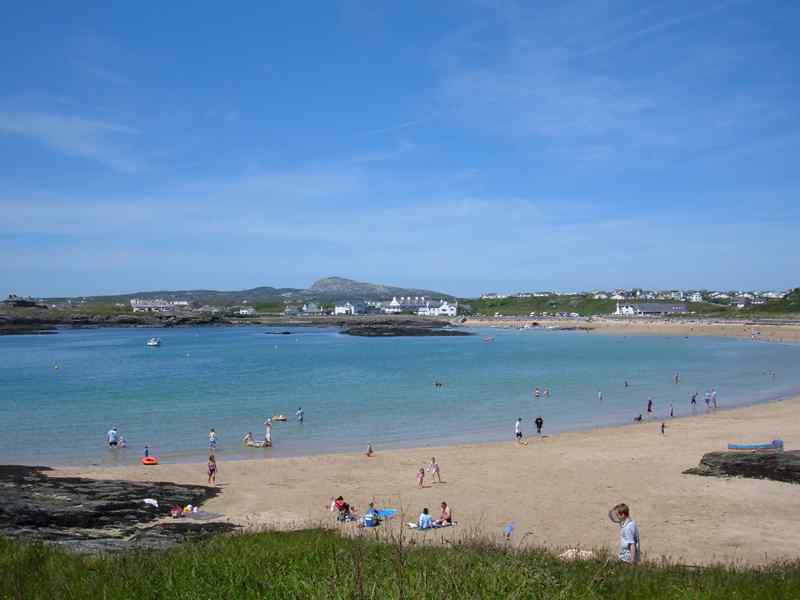 Trearddur Bay is situated within a couple of miles of the town of Holyhead on Anglesey. 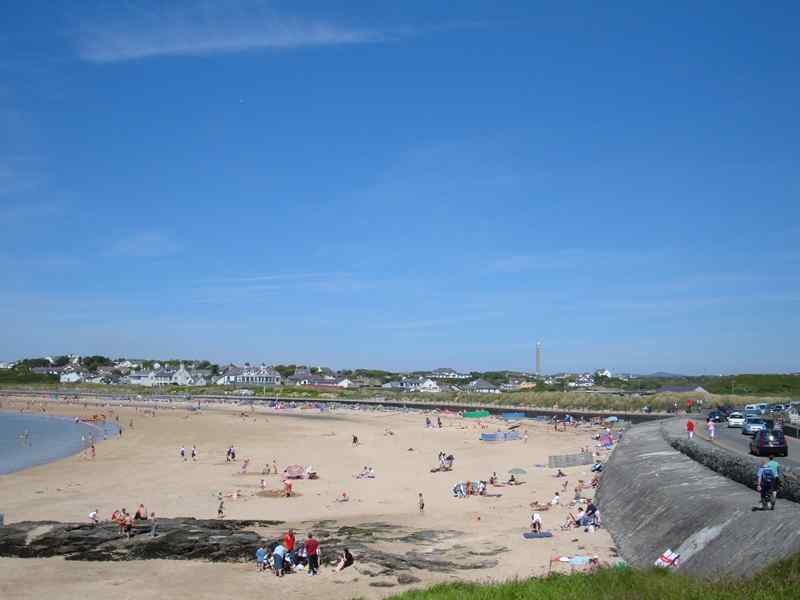 Trearddur Bay derives its name from the welsh for Arthur's Town. 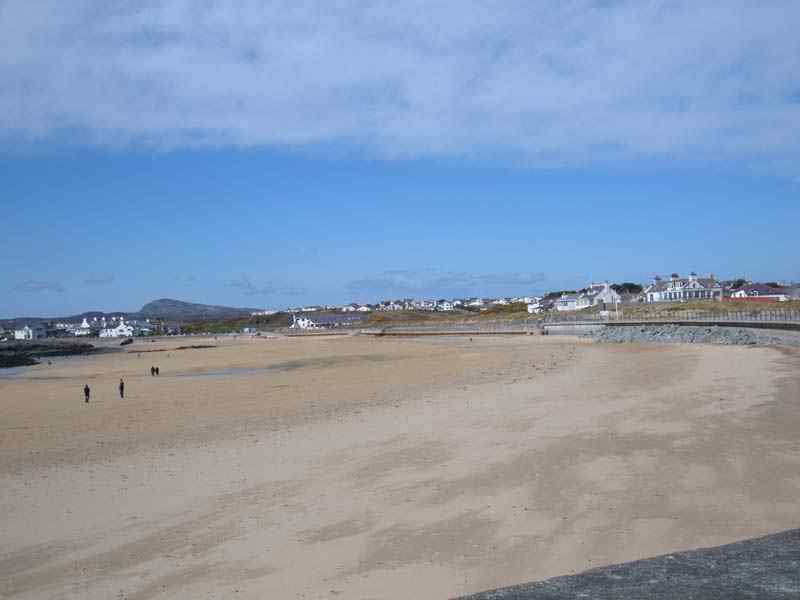 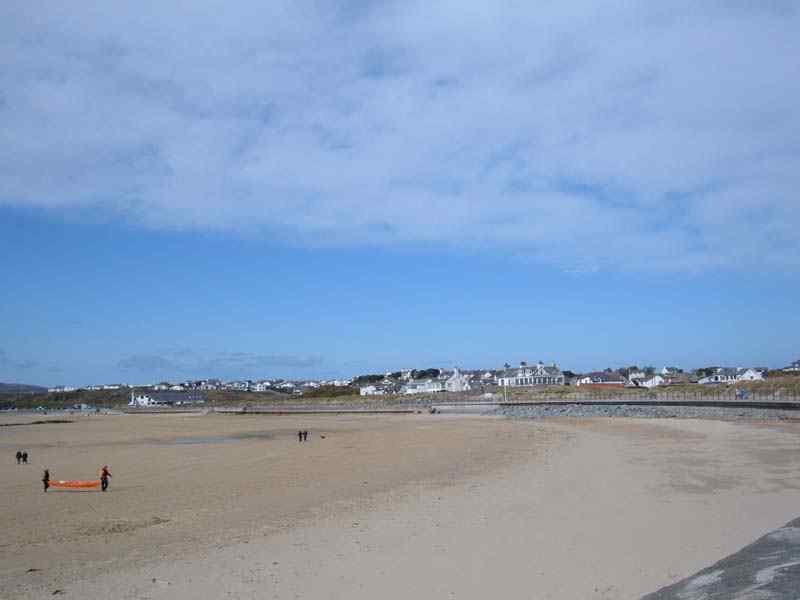 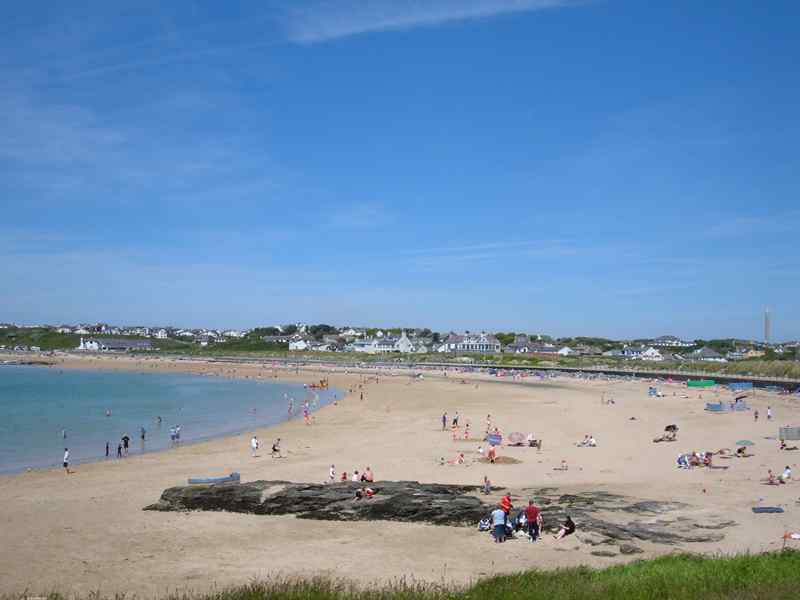 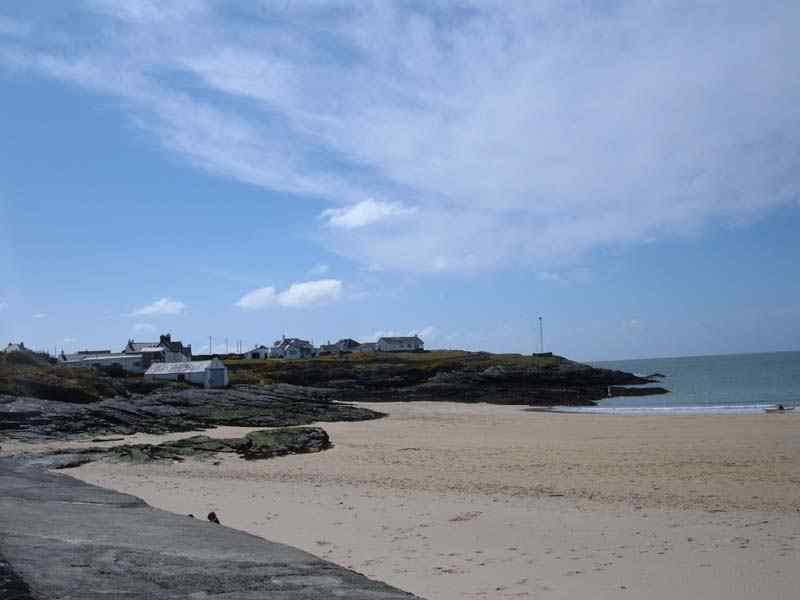 Undoubtedly one of Anglesey's premier beaches, Trearddur Bay combines cleanliness with space. 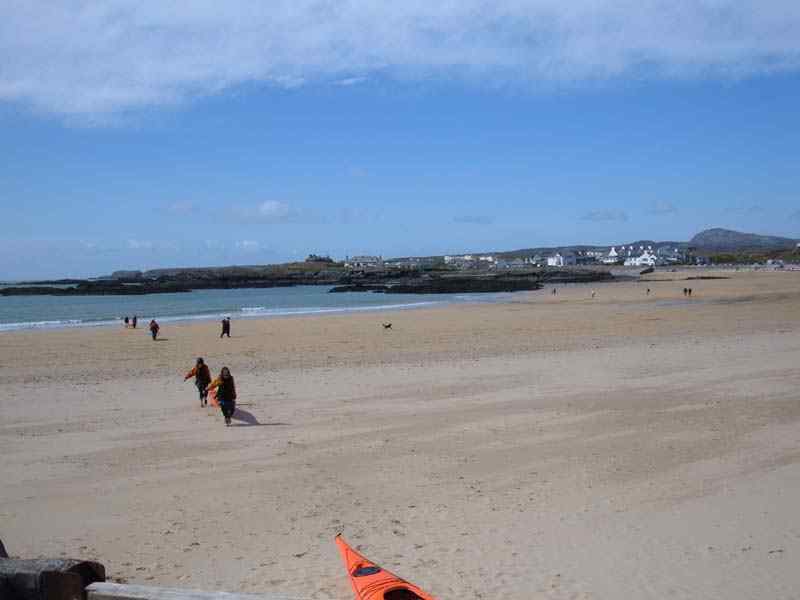 Depending on the time of the year, there is a vast amount of sand, and the sea is conducive with lots of water sports, including canoeing, surfboarding, and water skiing. 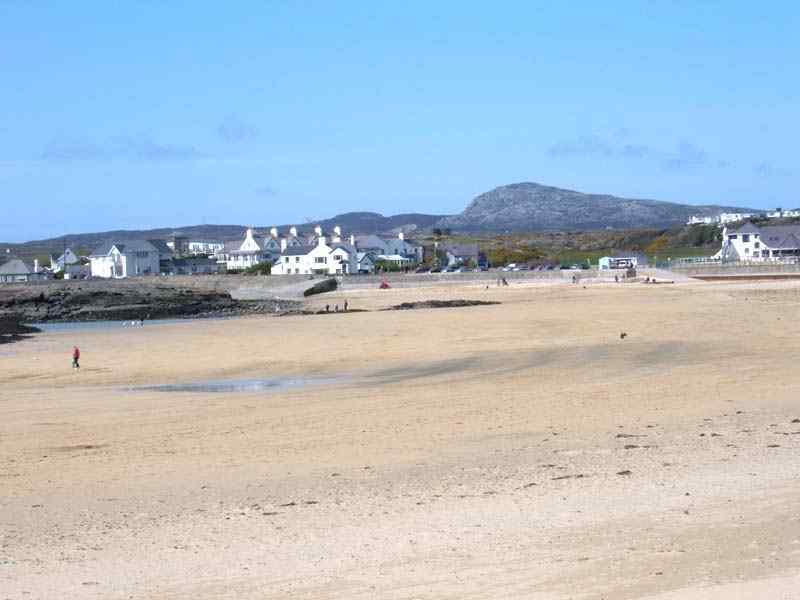 There is ample accommodation available in the area, ranging from hotels to bed and breakfast accommodation. 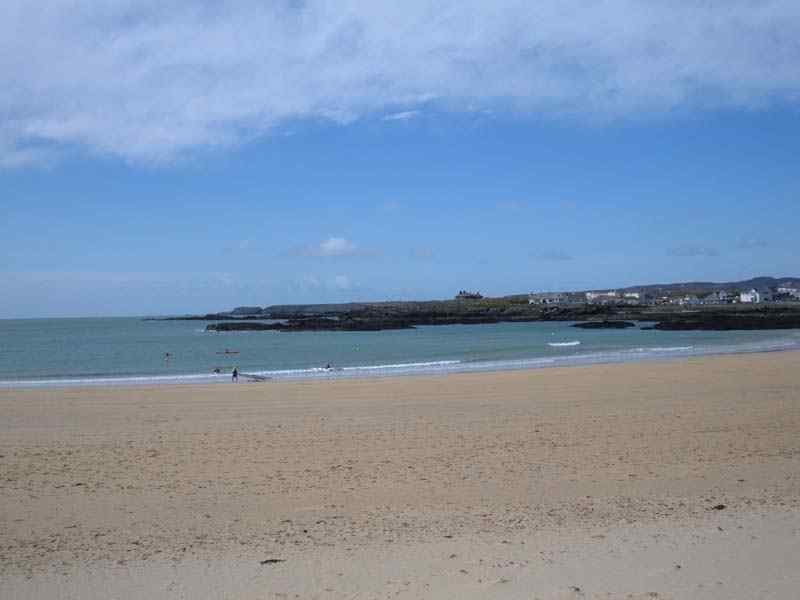 The photographs below were taken in the spring time when the large tide leaves a lot of beach uncovered when it is out. 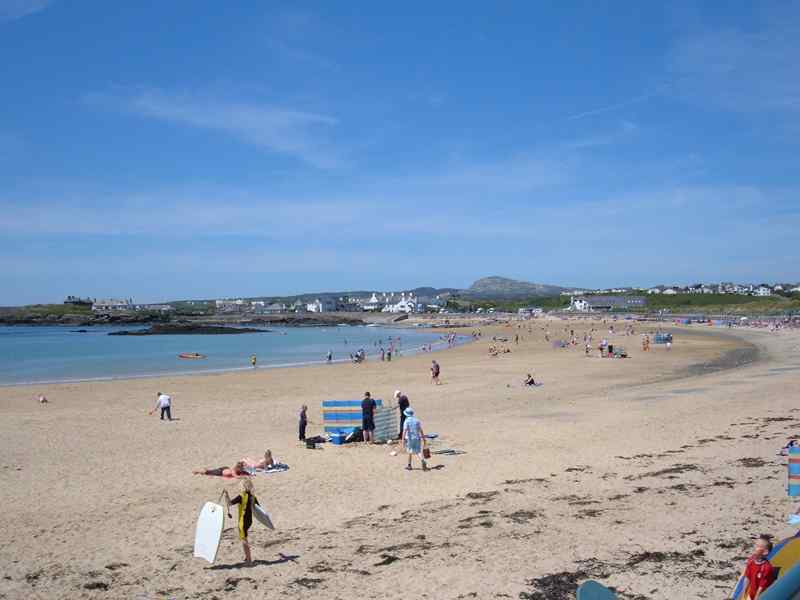 At other times of the year there is still more than ample sand for everyone to enjoy. 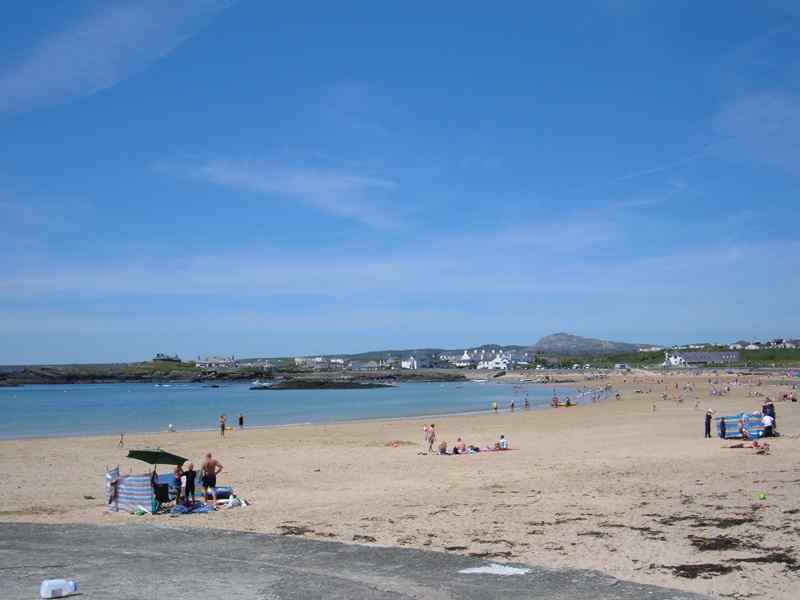 Trearddur Bay's beach is more than worthy of the blue flag it has been awarded. 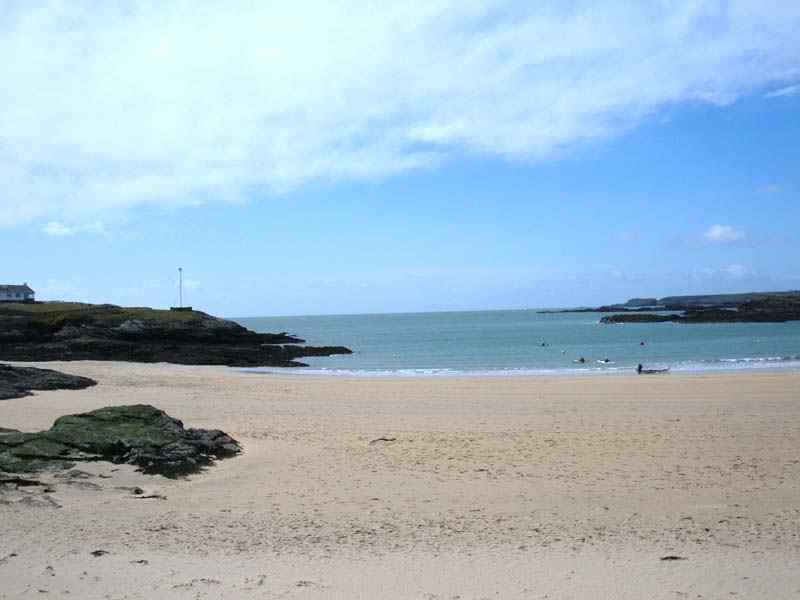 Recommended for all age groups.